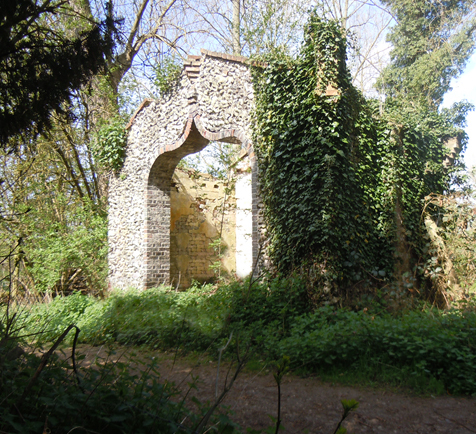 If you are walking towards Wheathampstead on the footpath from Brocket Hall, look to your left as you reach the bottom of the steep slope in the woods and you can see a structure made from flint, a common local stone. Recently restored, it is sited on a bridge over the river and, while essentially a folly, it may have been a shelter for anglers from Brocket Hall. The bridge is somewhat overgrown with vegetation but a closer inspection from the downstream side shows that it too is constructed from flint.